This a review of the 180 Tack Stove, a natural fuel stove made in Colorado in the US www.180tack.com. 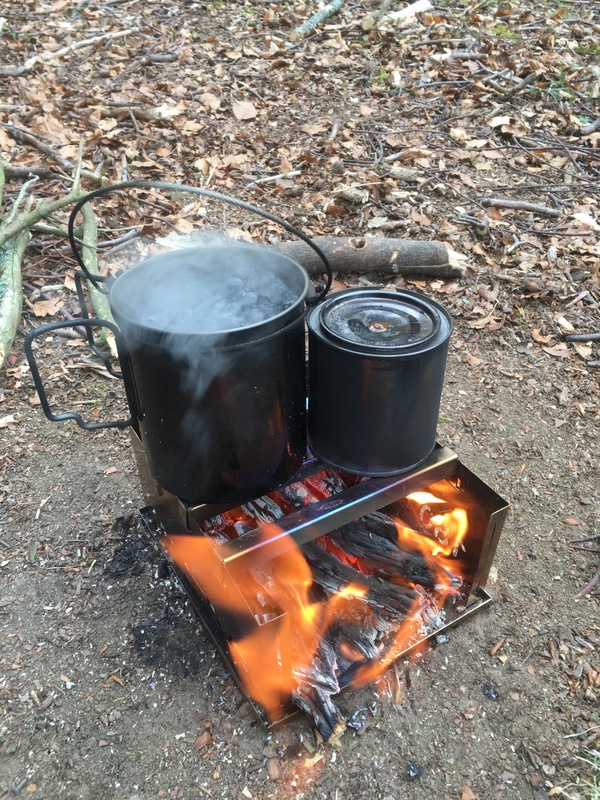 There are many natural fuel stoves on the market: cylindrical gasifier stoves and fire boxes of different sizes. The big benefit of stoves like this is that you can have a small efficient fire, with pot stand that makes a small impact on the environment. Living in Scotland where it’s damp and dry wood is sometimes hard to come by I wasn’t convinced that the small firebox stoves would be effective. 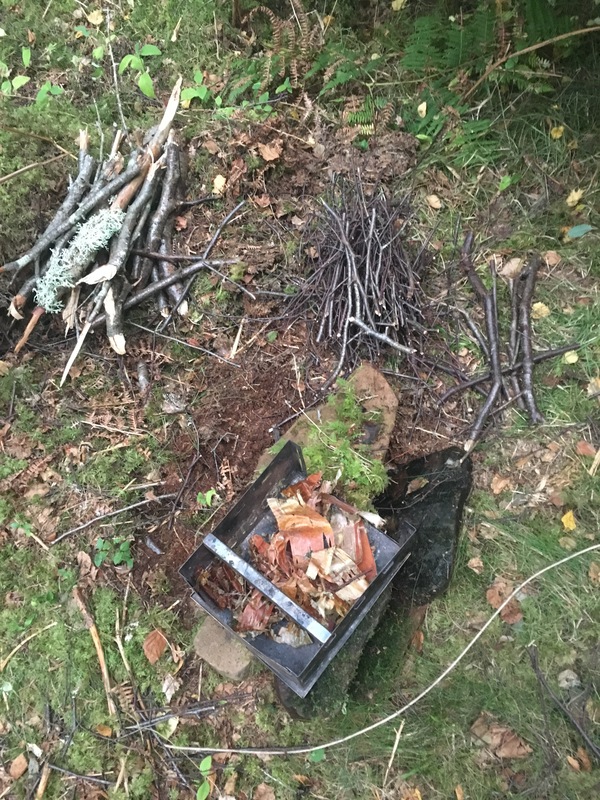 I wanted something that I could feed bigger bits of wood into to sustain the fire. Some of the fireboxes also looked a bit precarious to me, prone to toppling over. I wanted a stove that was relatively light and compact once packed away as well. So here’s how 180 Tack stove works. You get three pieces forming the sides of the stove, two long (7 inches, 17.78cm) and one short (6 inches, 15.24cm). These bits slot together simply. You can buy an ash pan separately, formed of two pieces that forms the base of the stove. I got this to reduce scorching on the ground. Next you make your fire in the stove and once the flames have settled down, you attach the three horizontal bars. Again these slot into place. The whole stove has no hinges and is very simple and robust. 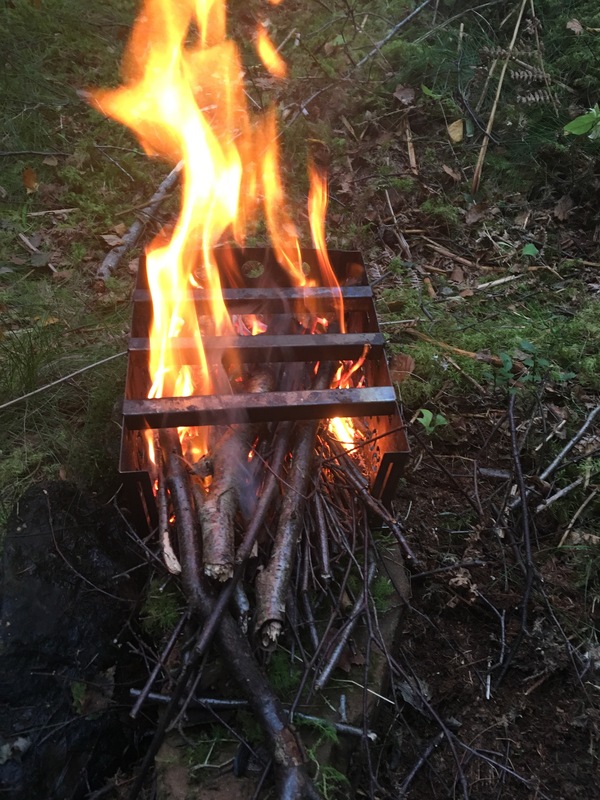 The platform formed by these horizontal bars is pretty big for a natural fuel stove allowing you to rest two small billy cans on it it one big one. Due to its square shape it is very stable and it’ll take heavy pots without the risk of it toppling over or collapsing. The stove (made of steel) cools quickly and packs away neatly. Altogether it weighs 295 grams. Although maybe not as efficient as a gasified stove it has a lot of benefits. I like that you can feed fairly substantial bits of wood into it. It is also robust, simple and has a big surface area for pots. Packed away it’s really small and light. It is also very effective in reducing your impact on the environment, minimising scorching on the ground. On the down side the mental warps a bit but not so much to make any difference to how it performs. Also the horizontal bars can be a bit fiddly to attach once the fire is going. You could try lighting the fire with the bars attached but this is also a bit tricky. There aren’t that many stores selling these stoves in the uk and they are a bit expensive but I really recommend it. The company in the states that makes them sells smaller versions of the stove as well. Good review Alastair. Thank you. Instead of trying to place the crossbars after the fire has been started, we recommend, in the users guide, to start your small initial fire first and then place the assembled stove over it. At this point, you an add the additional fuel you need without risking injury from burns. We appreciate that you’ve taken the time to review our 180 STOVE!